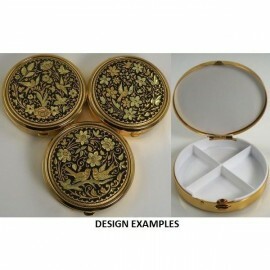 Damascene Pillboxes There are 32 products. 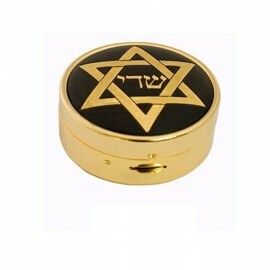 Damascene Gold Star of David Round Pill Box Damascene Jewelry by Midas of Toledo Spain. Religious Judaic jewelry and collectibles. 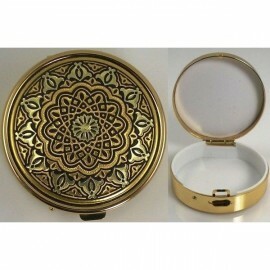 Damascene Gold Geometric Round Pill Box Style 8531. Damascene Jewelry by Midas of Toledo Spain. Golden Pillbox. 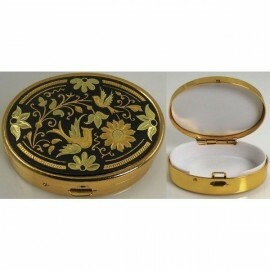 Damascene Gold Bird Round Pill Box Style 8531. Damascene Jewelry by Midas of Toledo Spain. Golden Pillbox. 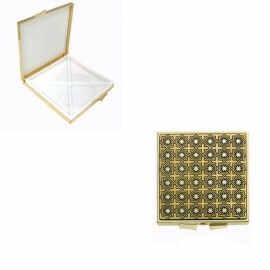 Damascene Gold Flower Square Pill Box. Damascene Jewelry by Midas of Toledo Spain. Golden Pillbox. 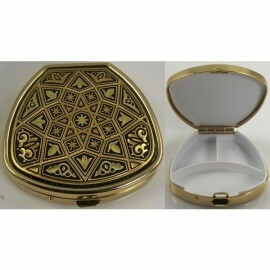 Damascene Gold Geometric Square Pill Box. Damascene Jewelry by Midas of Toledo Spain. Golden Pillbox. 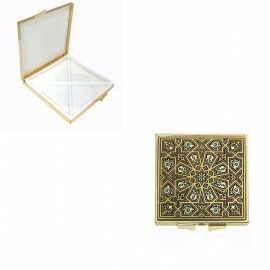 Damascene Gold Star Square Pill Box style 8501.2. Damascene Jewelry by Midas of Toledo Spain. Golden Pillbox. 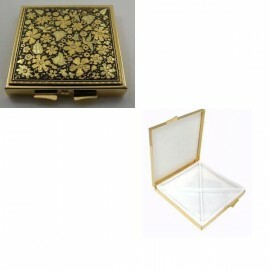 Damascene Gold Star Trapezoid Pill Box. Damascene Jewelry by Midas of Toledo Spain. Golden Pillbox. Damascene Gold Bird Oval Pill Box Style 8534. Damascene Jewelry by Midas of Toledo Spain. Golden Pillbox. 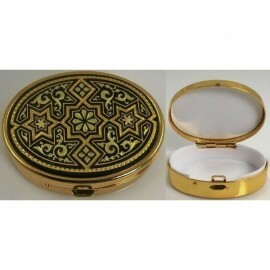 Damascene Gold Star Oval Pill Box. Damascene Jewelry by Midas of Toledo Spain. Golden Pillbox. 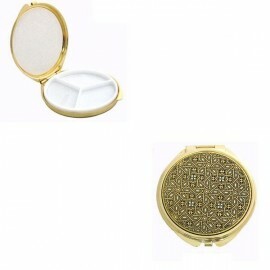 Damascene Gold Geometric Round Pill Box Style 8525. Damascene Jewelry by Midas of Toledo Spain. Golden Pillbox. 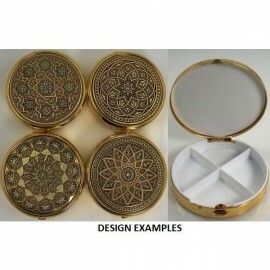 Damascene Gold Geometric Round Pill Box style 8503-3. Damascene Jewelry by Midas of Toledo Spain. Golden Pillbox. 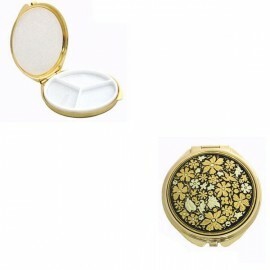 Damascene Gold Flower Round Pill Box. Damascene Jewelry by Midas of Toledo Spain. Golden Pillbox.